Welcome to the Whitehall Public Library! 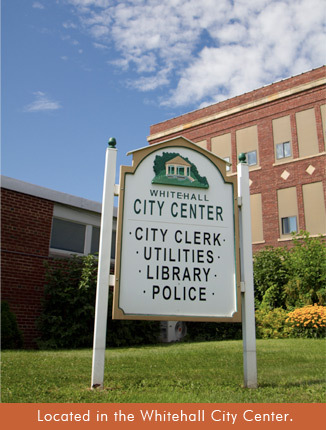 Located on Main Street, the Whitehall Public Library has a variety of resources avaiable for informational and entertainment purposes. It is the mission of the Whitehall Public Library to serve the public by providing access to information, resources, and culture to stimulate curiosity throughout life. Like us on Facebook for regular updates! There are many ways to find what you're looking for at the Whitehall Public Library. Our online catalog will provide you a current listing of all the items we have available for checkout. If you don't find what you're looking for in our catalog, we are happy to order the item through interlibrary loan. OR! Browse interlibrary loan yourself, ask how at the circulation desk. We have 7 public access computers in addition to free Wi-Fi. Computer time is limited to 30 minutes sessions when others are waiting, but as long as you need when there is no line. We offer a variety of programs at the library from our monthly book club, Wednesday pre-school story time, to gardening programs and craft nights. Keep up to date with our current program offerings by checking out our calendar page or liking us on Facebook. If you'd like to recieve emails about our programs email us at: whitehallpublibrary@gmail.com. Â© Copyright 2015 Whitehall Public Library. All Rights Reserved.